Seven-In-One Camping Tool With Sheath - Five-Pack - Stainless Steel Construction, Fork, Spoon, Knife, Corkscrew, Bottle Opener, Can Opener, Hole Puncher | BUDK.com - Knives & Swords At The Lowest Prices! 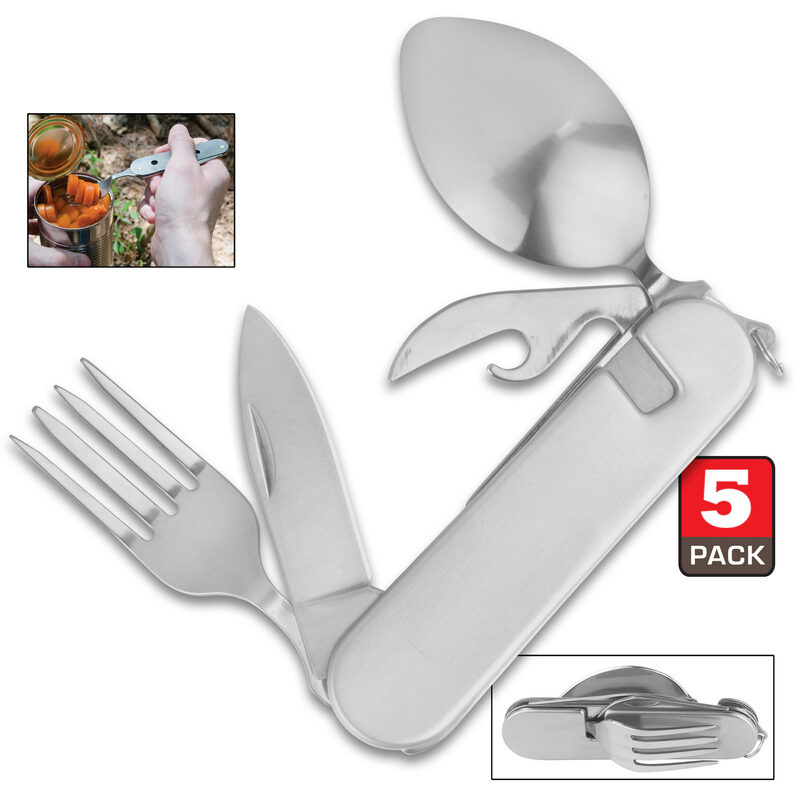 The Seven-In-One Camping Tool has it all, which makes it great for camping, fishing, hiking, scouting, picnics, emergency preparedness or survival kits. 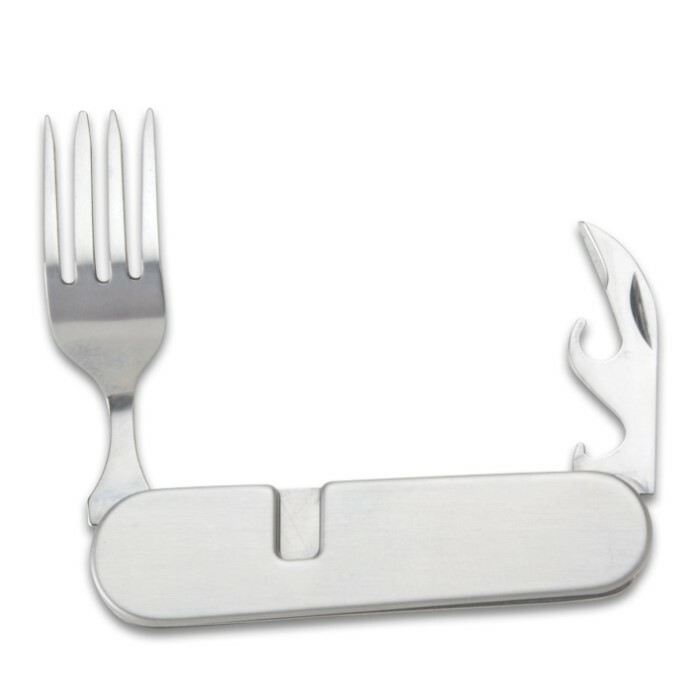 The tool has a stainless steel construction with brass pins and it separates into two pieces when both the fork and spoon are opened. 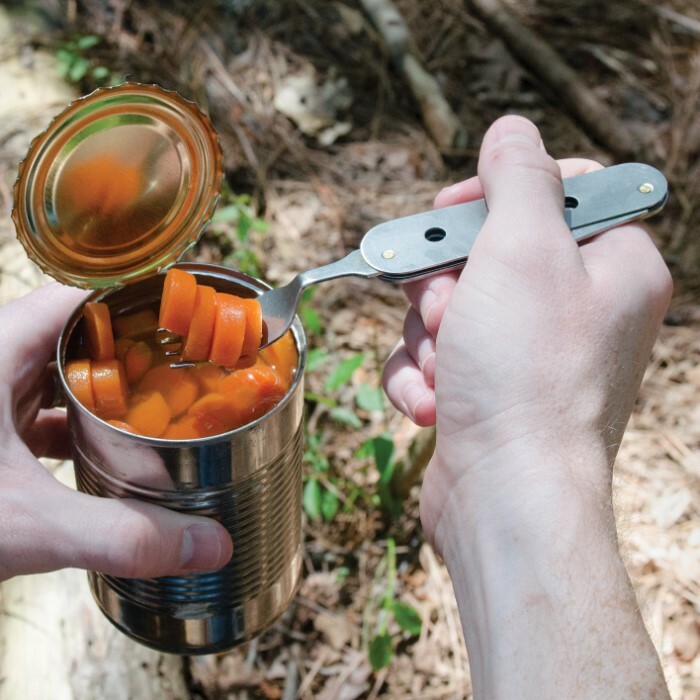 The camping tool also has a combination bottle opener and can opener and a sharp clip point blade knife, both with nail nicks for easy opening. 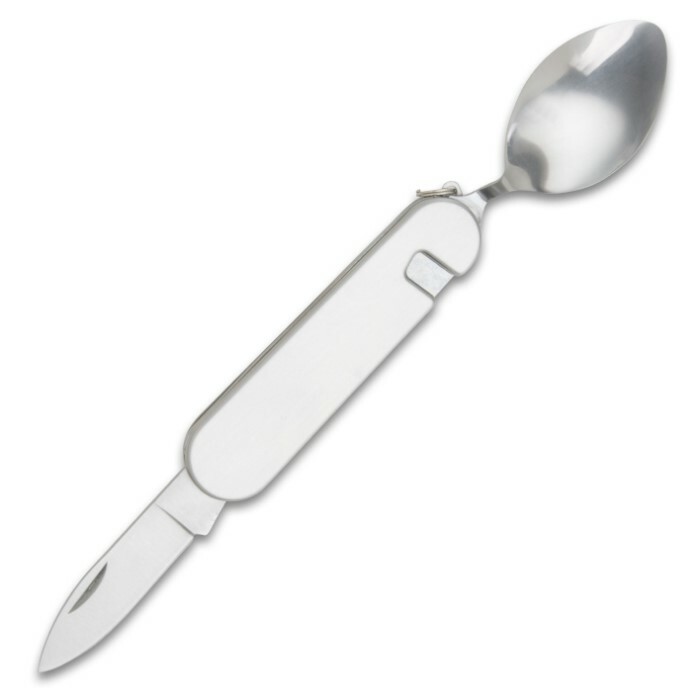 It also has a corkscrew and a hole puncher/tent reamer and comes in a nylon belt sheath. 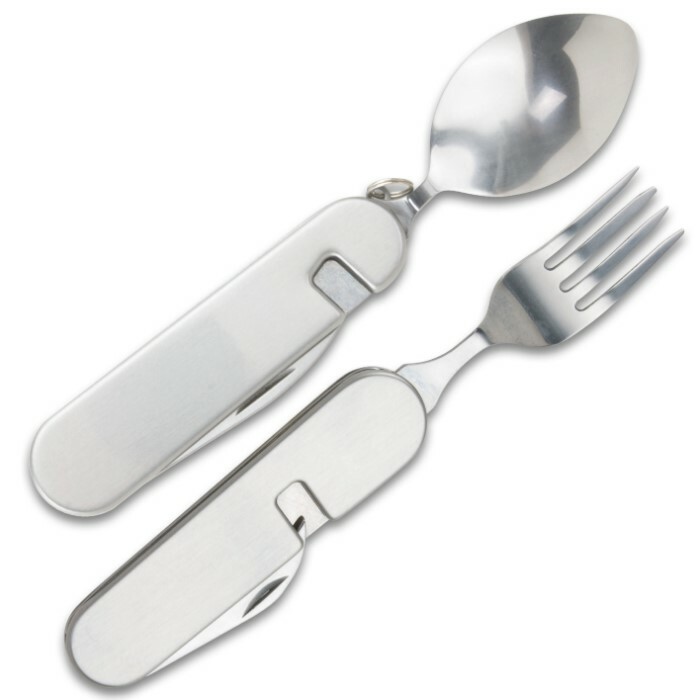 I'm not a fan of the Spork. 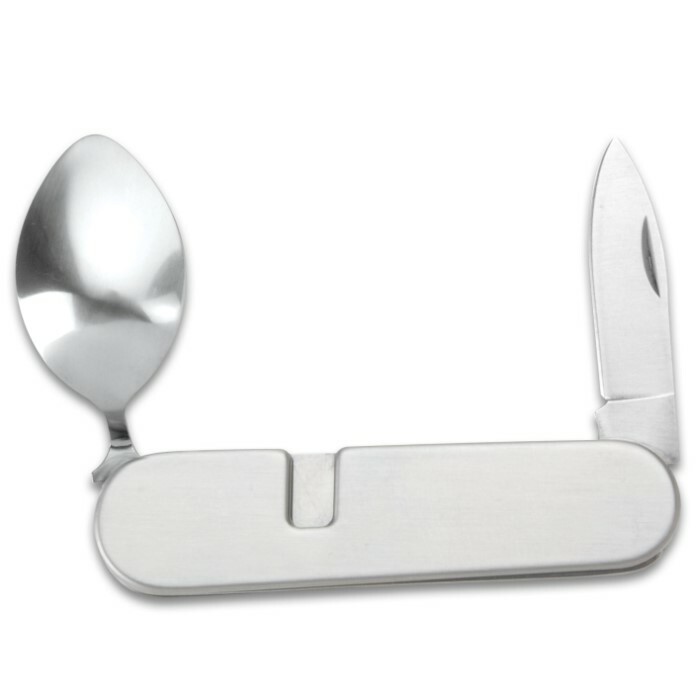 These break down into regular proportioned eating tools. More like what you use at home. 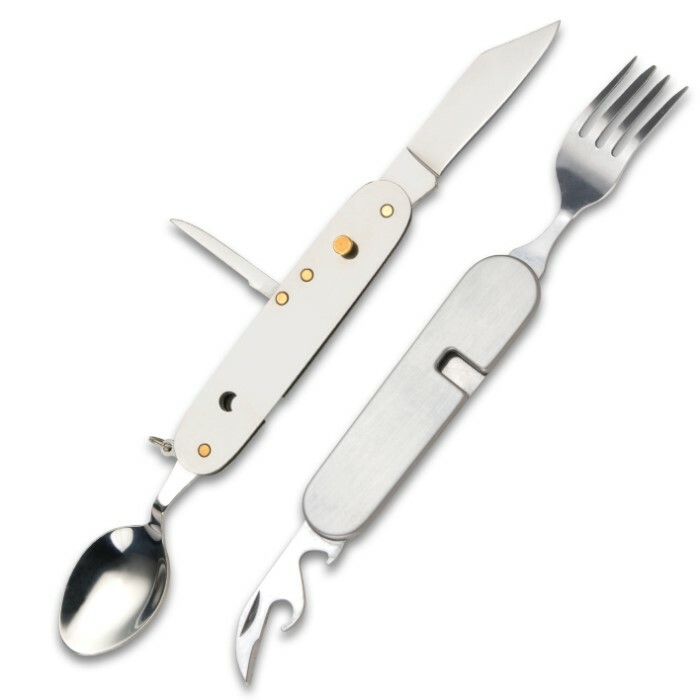 More tools are included, than a lot of other kits. They each have nylon pouches. Nice touch.